The evolution of the big box has become a fairly predictable life cycle for most cities across the country. Larger cities and their respective suburban communities were the first to realize that the expected life of the big box was short-lived. Wal-Mart appears to be the poster-child for big box construction and abandonment, and therefore seems to carry the brunt of the problem. Wal-Mart is certainly not the only, nor even the first to see this occur widespread. Grocery stores, gymnasiums, other retail boxes, restaurants, etc. experienced this for several years before the existence of Wal-Mart. The difference is that previously other uses were able to find a replacement tenant for their larger buildings. Wal-Mart, a very profitable business, has discovered how to be very efficient with building construction costs for a building with a short life-expectancy. This allows the company to multiply leaving the residue of an older, smaller building vacated. For cities and municipalities, it seems very profitable to allow and encourage these companies to build. A sudden windfall of tax revenue typically follows the big box to the city. The tax windfall is a product of the big box and its smaller ancillary chain stores which attach themselves to the big box like Remora to a Shark. The Remora remain viable and quite successful feeding off of the remains of the Shark. What happens to the Remora when the Shark is no longer viable or it dies? 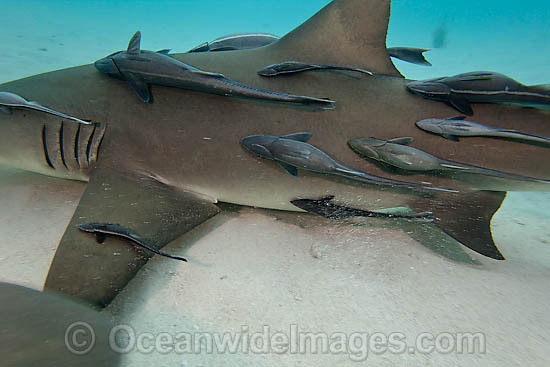 The Remora cannot survive without the shark and typically move on to a new shark. 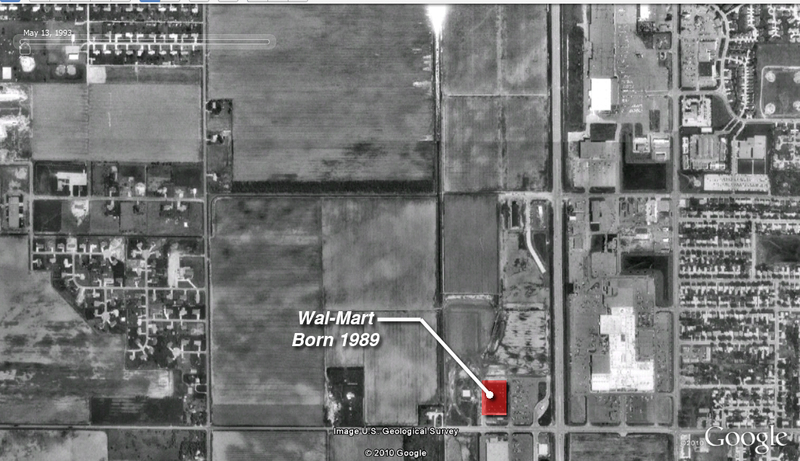 An annotated aerial image from 1993 of the Wal-Mart in Grand Island which opened in 1989. Base Image courtesy of Google Earth. So how long can you expect a big box to remain after it is constructed? This is a question that is dependent on far too many variables to make an accurate prediction. Generally, I have observed that the life of the big box store will be between twelve and twenty years. The image to the right identifies a Wal-Mart in Grand Island, Nebraska. I remember being excited about when it came to my hometown in 1989, as was the majority of the city. Why was this exciting? I guess it was because this was a sign that the town of ~40,000 people had officially become a ‘city’. The majority of the town was ecstatic that we had made it to this status. 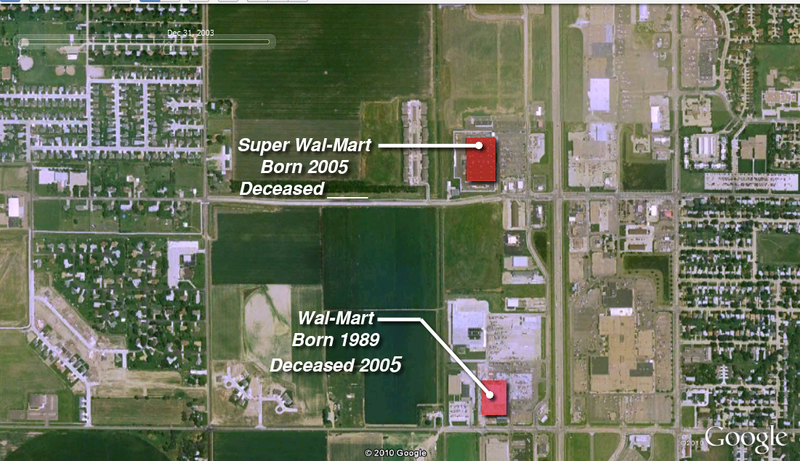 The presence of Wal-Mart became commonplace over the years and many people came and went from Grand Island since 1989. In 2005, after studying and practicing urbanism and redevelopment for two years at HDR in Omaha, Grand Island was once again excited for Wal-Mart’s newest announcement. They were going to bring, not one, but TWO NEW Wal-Mart Super Centers to Grand Island. This was the death sentence to the old structure, though it still stands today with a lesser use. The question is, what can a City do to mitigate the negative effects of the big box? The easiest statement that you may hear from those infuriated with the big box is to simply not approve their plans and essentially not allow them in the town. Well, this is much easier said than done. Afterall, there is an obvious benefit to having big boxes such as Wal-Mart in your town, tax dollars. The other problem is that if your city doesn’t allow it, the big box will still come to the area because there is an obvious demand for the big box. Your neighboring town, or perhaps the incorporated portion of your county, will reap the initial tax dollar rewards of the big box. Back to the question, what can your city do to mitigate the negative effects? I believe that there are options. Where there is a demand for the big box, the parent company will do what they need to do to locate there. Sure, they will negotiate with you until your head nearly explodes, but if you stick to your standards, they will conform. The design standard is perhaps the simplest option for mitigating the future uses of the building. Mixed-Use Buildings: A second-story along the facade may be common or desired in your city depending on the location. require the appropriate ceiling heights for the first floor use and a second floor that is functional for offices are desirable. If it is required, the big box will likely even use the second floor for offices, break rooms, etc. There are many, many more standards that can assist in the future of the big box, of which I would love to discuss further with you if you desire. 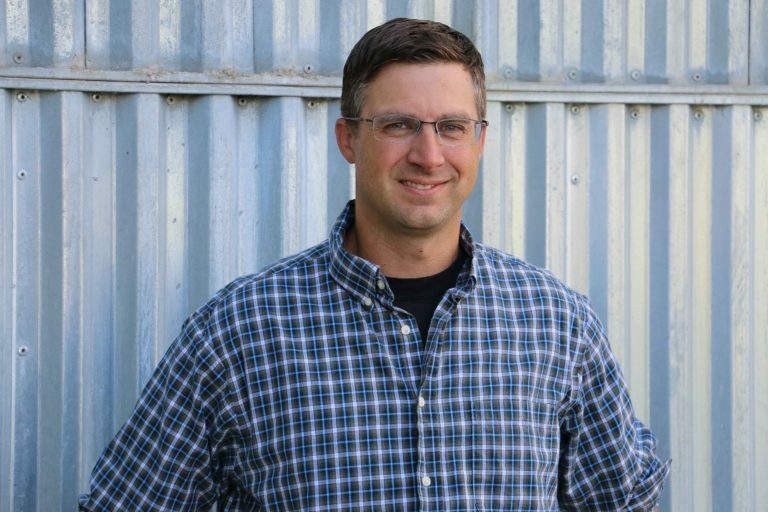 (john@olsonplanning.com). Here is another supporting discussion of how big boxes impact communities with hidden imposed costs. That’s a great article Frank, thank you for sharing it! It describes the design standard process nicely. As I stated in the above post, I would like to see the standards do more for the future of the building rather than just the visual appearance during the initial user’s lifetime. Ideally, the big box should be easily converted to smaller shops, offices and potentially second floor retail. This is how the founder’s of our cities did development, it has been lost with our culture’s ability to tear down and rebuild. ‘Built to Last’ is no longer the choice. Thank you for your contribution Frank!